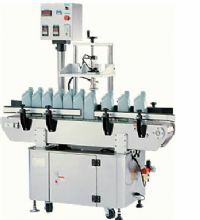 This Machine is designed for plastic bottles/ containers leak testing. Special application for plastic bottles makers, soft drinks, motor oil, lubricants, detergents and chemical industries to ensure bottle quality before liquid filling. No change parts are required for different bottles sizes. Digital settings with easy access to make adjustment for testing time.